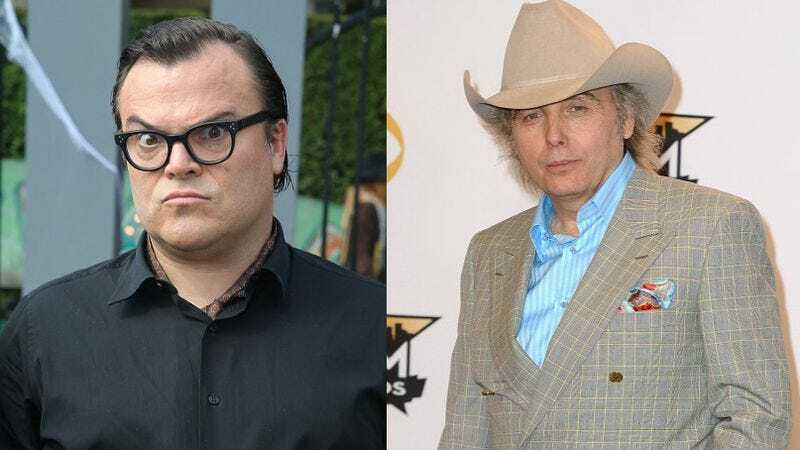 Deadline reports that notable actor-musicians Jack Black and Dwight Yoakam are teaming up to executive produce a comedy for Fox that’s got all the Belles & Whistles. That’s actually the name of the show, which will see a Silicon Valley drone fly home to Nashville to lick his wounds after he’s been fired. He’ll do so by playing some licks—you know, on a guitar—after deciding to chase his long-forgotten dreams of music stardom. The wannabe country music star will also bring his family along for the ride, so we could see Dad busking to support his family or getting bedazzled by Dolly Parton. We’re not entirely certain how or why “musician” became a viable back-up career option, but it’s quickly becoming a thing on TV. Black and Yoakam will co-produce along with Alex McAulay, a writer-musician who will also pen the pilot. McAulay previously made the The Black List with his Flower script, and he’s reportedly working on the screenplay for a War Of The Roses sequel.